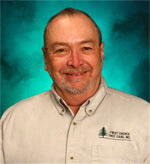 Ken is a respected industry leader with over 40 years experience in the tree care profession. He holds a B.S. in forestry from UW-Stevens Point and a M.S. from Michigan State University. 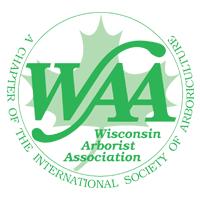 Ken is past president of both the 700+ member Wisconsin Arborist Association and the 25,000+ member International Society of Arboriculture. He has received the ISA President's Award, WAA Distinguished Service Award, WAA Honorary Lifetime Member Award, and the ISA's higest Award of Merit. He is also an Honorary Life Member of ISA. Ken served for 10 years on the Governor's Forestry Council. He also was the chairman of the Wisconsin Urban Forestry Council, and for 15 years was Vice-Chairman of theTree Research & Education Endowment fund (TREEfund). 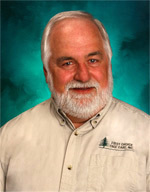 In his honor, the TREEFund established the "Ken Ottman Volunteer of the Year Award" He has spent most of his career mentoring urban forestry/arboriculture professionals by promoting membership and active participation in industry organizations, and investment into continuing arboricultural research. 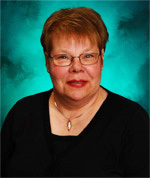 Debbie has been actively involved in the Green Industry for over 35 years. She holds a B.S. in Education from UW-Stevens Point. Debbie has participated in the meetings of 16 North American and 5 European chapters of the International Society of Arboriculture (ISA), and served on the planning/steering committee for the ISA International Conference hosting over 3,000 attendees. Debbie is responsible for the financial management and office operations of the company. 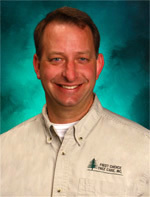 Mark has been active in the tree care industry since 1990. His experience includes nine years in municipal forestry, and over 18 years in commercial arboriculture. He earned his degree in Urban Forestry at UW-Stevens Point, is an ISA Certified Arborist. Mark served for eight years on the Wisconsin Arborist Association editorial board and three years on the TREEfund development committee. He is a regular guest lecturer at UW-Stevens Point and MidState Technical College. 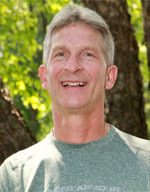 Jeff has been active in the tree care industry since 1980. He holds a B.S. in Forestry from the University of Wisconsin – Stevens Point, and has extensive experience in all facets of urban tree care. He was employed by the City of Milwaukee for over 31 years, where he performed at every level of the organization from field crew operations to upper management. He is a member of both the International Society of Arboriculture and the Wisconsin Arborist Association. Jeff has chaired numerous committees for both organizations, served on the WAA Board of Directors, and has received the WAA Distinguished Service award. In his spare time Jeff coaches pole vault for the boys track team at Brookfield East High School. Nolan graduated from Winona State University in 2003 with a B.S. in Biology. 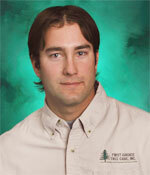 Since then, he has worked in the tree care industry in the Milwaukee area as well as in Central Wisconsin. Nolan is an ISA Certified Arborist and Certified Pesticide Applicator. He is currently the Production Coordinator in our Mequon office.